The Singapore Airlines Group recently announced bringing blockchain into its loyalty scheme. The airline’s KrisFlyer frequent-flyer programme is to launch a world-first blockchain-based airline loyalty digital wallet. The KrisFlyer is expected to be rolled out in about six months and will allow KrisFlyer membership base to use ‘digital KrisFlyer miles’ for point-of-sale transactions at participating retail merchants. According to a statement by the airline, KrisFlyer will be signing up retail merchant partners, initially in the Singapore market. The lifestyle digital wallet app will be enabled using an SIA-owned private blockchain involving only merchants and partners. “Innovation has been a key contributor to the success of Singapore Airlines since day one and we are very excited about this world-first initiative, which will bring even more benefits to members of our KrisFlyer programme,” said Singapore Airlines CEO Goh Choon Phong. The move by Singapore Airlines is well-planned and brings many potential benefits, both to its customers and its investors. For consumers, a loyalty program that is based on blockchain is possibly more valuable than a regular miles rewards programs, which are subject to expiration, depreciation in value, blackout dates, and more. A blockchain-based loyalty programme addresses these issues since they would be flexibly interchangeable with other digital currencies, programmes or money. Moreover, the fact that the market decides the value of these tokens create potential for appreciation in future. This alternative carries even bigger benefits for the company and its investors. For instance, every time a Singapore Airline customer redeemed their miles for a free flight, it would cost the carrier a lot of money, thus effectively making the reward programme a discount coupon. 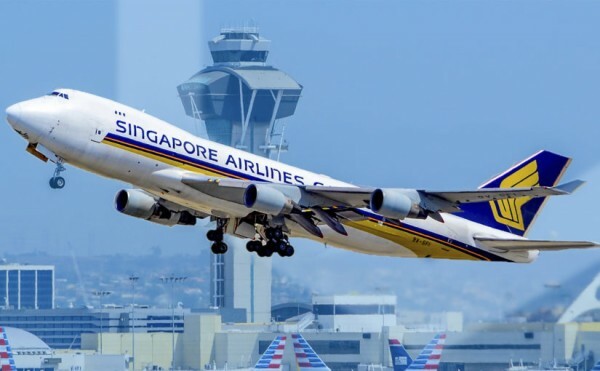 With blockchain, however, the same miles can be sold by the company for cash in the market, which means that the traders of Singapore Airlines’ miles would be funding the company’s loyalty program, thus reducing the company’s financial burden. Additionally, this alternative form of investment will lure even more investors to the company. Singapore Airlines is not the first carrier to venture into blockchain. In October, Lufthansa announced it was partnering with Winding Tree to bring control of the travel distribution network out of the hands of intermediaries who cost airlines money. If all these efforts are successful, a blockchain-based loyalty program could turn out to be the straw that many in the travel industry could hang on to in the face of competition.